Shirley came to the interview prepared: she had music, a costume and even a little dance prepared. 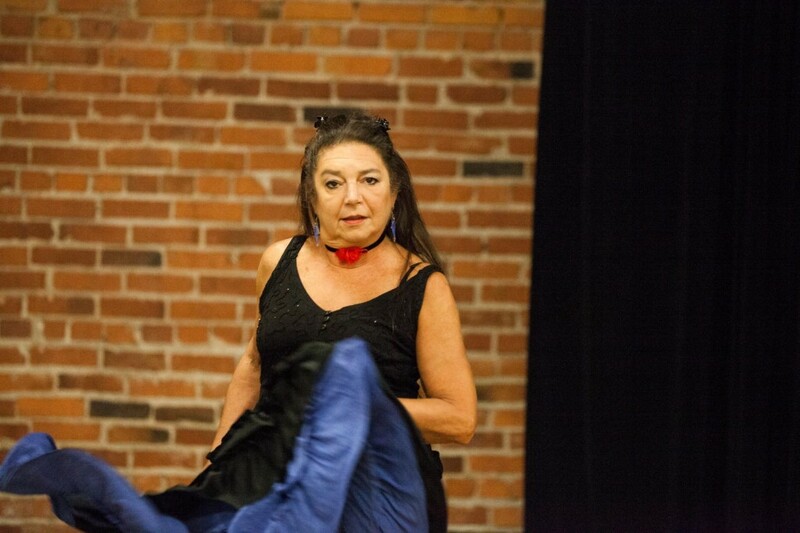 Latin music cut across the exposed brick wall and wood floor, catching Shirley with her skirt rustling up her thighs and her long hair whipping behind her. Her performance belied the story she was about to tell. Shirley’s story is both heartbreaking and triumphant, defying logic in both its devastation and sense of redemption. But you’d never know that watching her dance. How did you start dancing and what have been some highlights along the journey? I started dancing when I was two years old. Always as a little girl I wanted to be a dancer, as is often the case with little girls, but I truly meant it. When I was nine, I heard my parents arguing about not being able to afford my dance lessons, so I went up to my teacher and asked to help assist with the little children. I had a work scholarship until I left home at 17. My first year of college was at the University of Wisconsin, where I was a modern dance major. I transferred from there to the University of Utah. That’s where my world really blossomed. The University of Utah was such an incredible training program. There are two major modern dance companies in Salt Lake: Ririe-Woodbury Dance Company and Repertory Dance Theatre. I was an understudy for Ririe-Woodbury when I was a senior, and I was also asked to teach beginning classes. Whenever a professor was ill, I substituted. I developed an incredible amount of teaching experience. My senior year, Bill Evans became a professor, and I became his protégée. When he formed the Bill Evans Dance Company right after my senior year, I immediately joined it. The company was in Salt Lake for a year and then we moved to Seattle. And then, for the next 10 years, the Bill Evans Dance Company was on the road for 42 weeks out of the year. For six or seven years we were the most booked dance company in the United States. We performed in big cities and rural communities and even on the tundra in Bethel, Alaska. I danced with Bill until 1989, but from 1983 to 1989 I also was dancing with Erik Whitmyre. We formed a duet company called Strong Wind Wild Horses. In 1987, I founded a nonprofit organization called Dance on Capitol Hill. It was a school and the home of my dance company. There were 18 different instructors teaching everything you can think of, including dance camps for homeless children. It was a performance venue as well. But after 10 years working 60 hours a week, I was stretched to the limit. I was diagnosed with uterine cancer and also had blown a disk in my back. Six months after my uterine surgery, I had major back surgery. The doctor said I would never dance again. That was an incredibly devastating time in my life; six months after my back surgery I was hospitalized for major depression. I didn’t want to live anymore. I had really hit bottom. I didn’t know what I was going to do with my life. I went through the Pilates certification program through workman’s compensation. The reason I decided to become a Pilates instructor was because I wanted to continue to rehab my spine. I was convinced I would dance again. I was doing better, and then was diagnosed with breast cancer. Around that time, I was told I also needed a total hip replacement. That all happened in 2006. I had to go through surgery, chemo, radiation, and then a hip replacement. In 2010, I finally performed again. 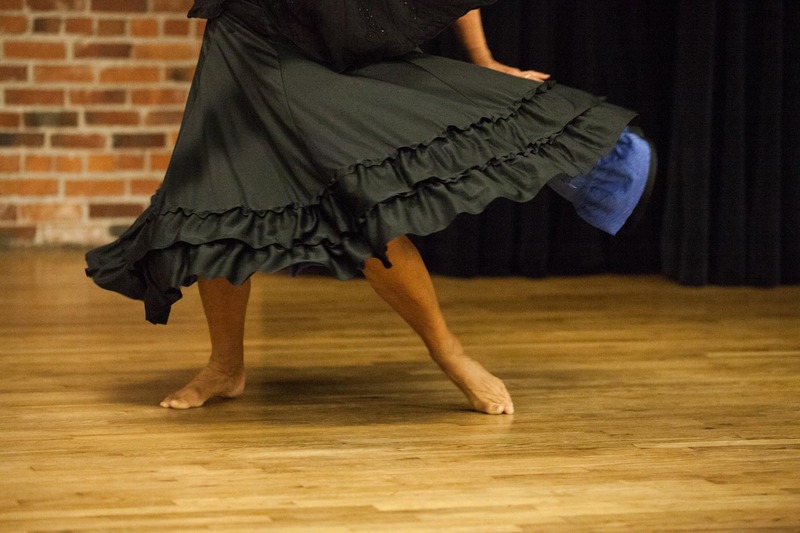 My return to the world of dance has a message of healing. 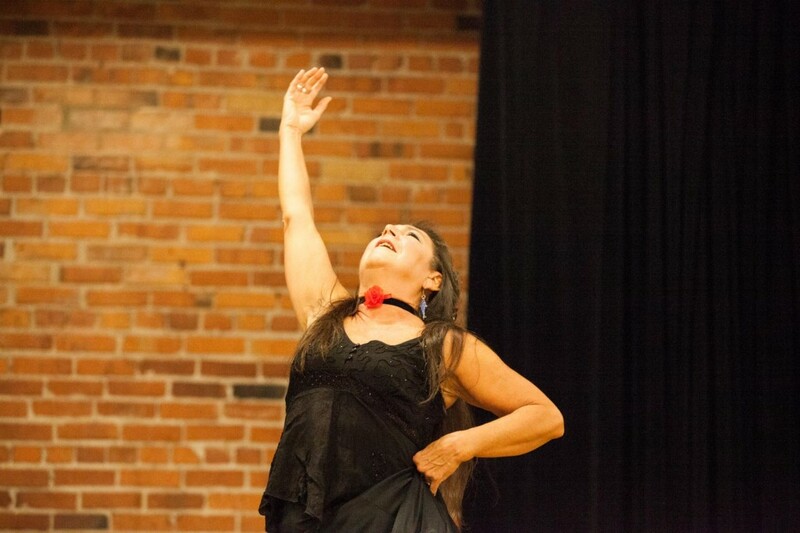 I want to express the beauty of why dance is such a surviving force in my life. That’s pretty much where I am now. I have a new company called DanceJENKINSDance. It’s named as an encouragement for me to keep going. Rehab is a fulltime job. I do yoga, Pilates, swim, deep water aqua-jogging and biking. I’m also a rhythm tapper. I continue to teach rhythm tap as well as composition and improvisation. I developed a class called Timeless Modern, which is designed for the dancer who maybe went through something like I went through, dancing professionally and then dealing with injuries. How have your motivations for why you continue to dance changed? I’ve never stopped grasping onto that bliss I feel when I’m dancing. I battle the sense that people have put me out to pasture, or that I’m old-school or not what’s “in” anymore. That’s something I’m constantly fighting. Every day I wake up and, wherever I am, I continue to pursue the craft. Do you see yourself dancing for the foreseeable future? I’m 61 and going through a bit of sadness right now, wondering what’s next. I have lots of creative projects in my head and I wish to do them in the next year, but right now I’m gathering strength by working on my own in the studio. I am going on a long-awaited vacation in December. I plan to dance on the beach. My back didn’t start hurting all of a sudden. There were times when I was pushed to the limit and I didn’t stand up for myself enough. But that’s part of the nature of the profession. You are told that dancers are a dime a dozen and you can be replaced. I would encourage dancers to nurture themselves as they continue to work hard. Shirley Jenkins received a BFA from the University of Utah. 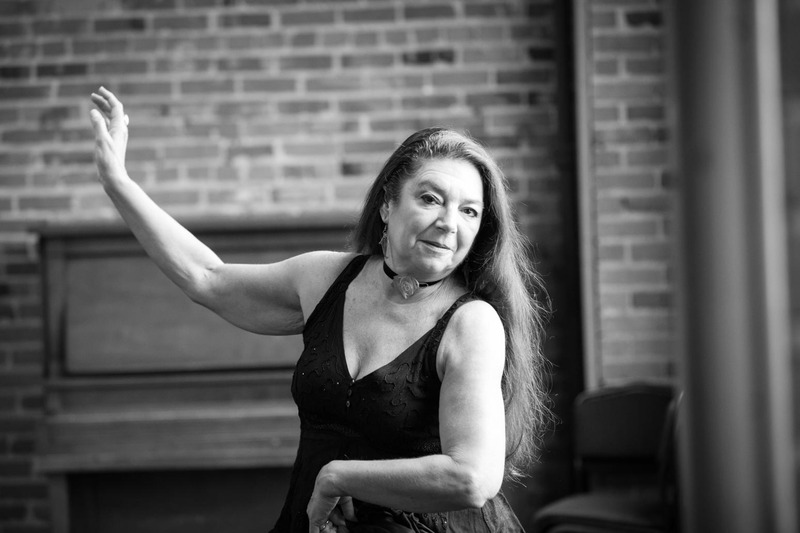 She was a founding member of the Bill Evans Dance Company, where she had a prolific career as a touring member and master instructor. With Erik Whitmyre, she formed her own company, Strong Wind Wild Horses. 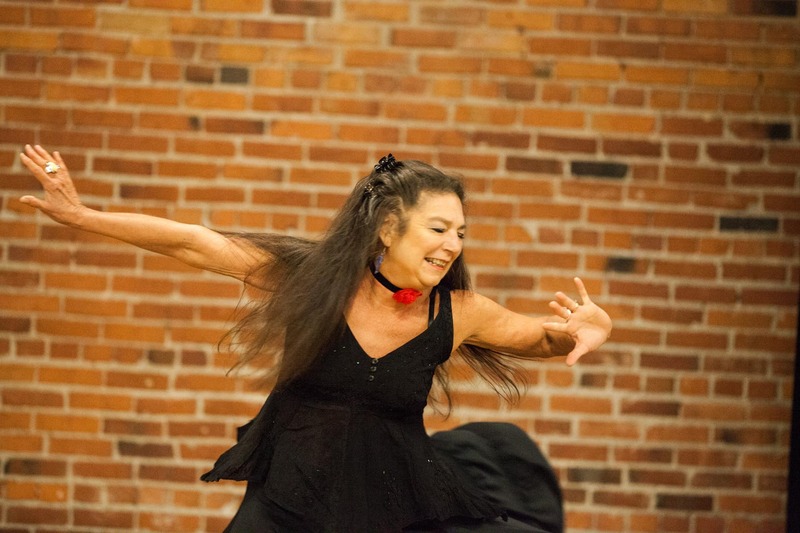 She also founded the non-profit organization Dance on Capitol Hill. 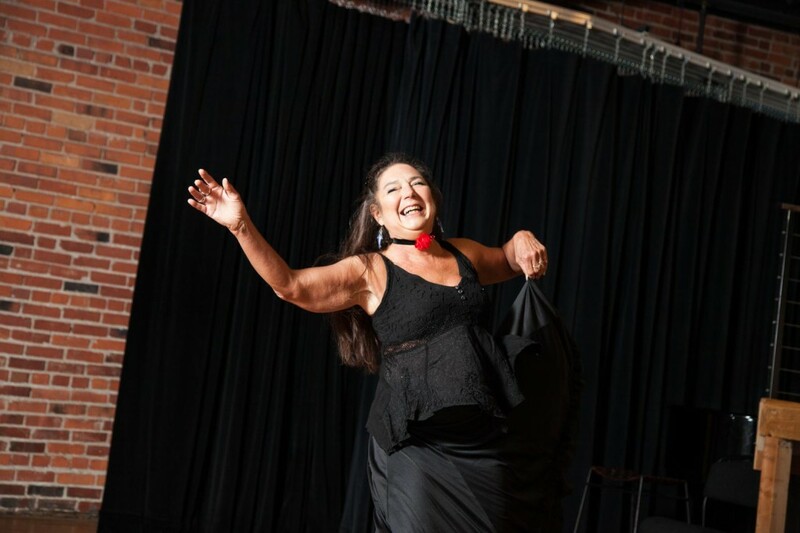 In 2010, Shirley formed DanceJENKINSDance. 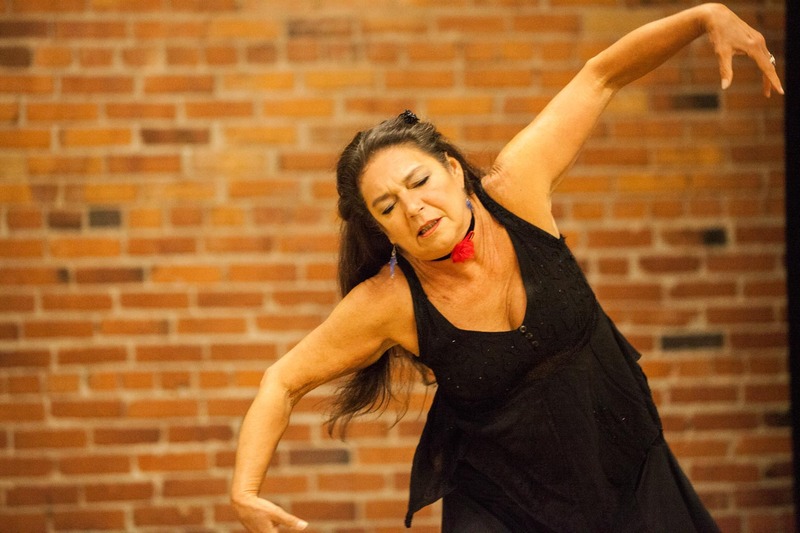 Shirley is currently an adjunct instructor at Cornish College of the Arts and on the teaching staff of Velocity Dance Center. She is also a Pilates instructor at Pilates Seattle International.